Katee Sackhoff and Tricia Helfer are back for another Acting Outlaws charity calendar. With their ‘semi’-naked calendar they hope to raise funds for their Acting Outlaws charity which raises awareness for all sorts of social issues. One is the aftermath of the BP oil spill. Their preferred method of raising attention is through charity bike rides. Well, another year has past so lets summarize what the two sci-fi actresses have been up to. Katee Sackhoff has of course graced us with another season of Longmire in which she plays the rather towny sheriff’s deputy ‘Vic’ Moretti. 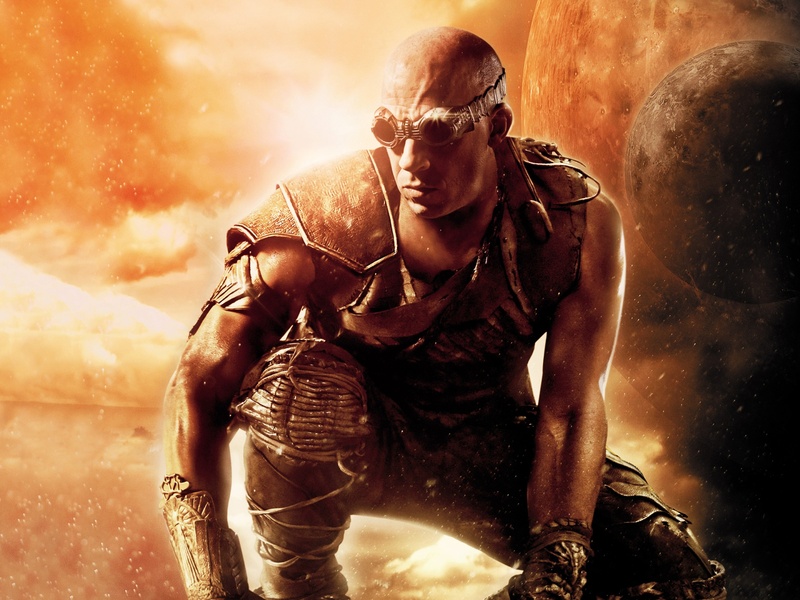 Last August we also saw her in the latest Riddick movie as the conflicted lesbian bounty hunter Stahl. Rumors persisted on the internet that she had been given a role in the latest Star Wars movie, but she debunked these. Instead she hinted at another big project. Tricia Helfer continues her career of making guest appearances on TV-shows, the latest of which was for Community. She also has several noteworthy voice-acting roles such as for StarCraft 2 and Ultimate Spiderman. With the apparent discontinuation of Tron Uprising her role as ‘The Grid’ seems at an end. As for the charity calendar, you can buy it at redbubble.com for 39.78, the photos of the photo can also be bought separately framed for 140.00. I am sure the annual calendar is well within the means of most visitors so do buy one! Last years calendar can also be bought as a 2014 calendar, so if you haven’t got that one yet you can have two! Katee Sackhoff and Tricia Helfer get naked for charity in Acting Outlaws calendar! Previous story Almost Human S1Ep5 ‘Blood Brothers’ Review!